When you live in the Dandenong area you know how important it is to have a reliable plumbing service. At Alderbrook Plumbing we offer only the most reliable and dependable services for all of your plumbing needs. This includes outdoor drain excavation when your plumbing backs up and causes flooding at your home or business. If for whatever reason your property experiences flooding, you need an experienced excavator to take care of the problem. Flooding occurs for various reasons – heavy rain, standing water, run-off from neighbours’ plumbing, and plumbing blockages that cause backups. When flooding occurs, it causes extensive damage to the property. Furthermore, it presents a hazard to your outdoor drainage. Flooding can cause your plumbing to not drain properly for the same reason a sink doesn’t drain properly. As more water stands in the drain, it becomes increasingly difficult for it to drain. Flooding can cause massive backups in sewers and plumbing. This can lead to emergency plumbing situations both on your property and within your home or commercial business. 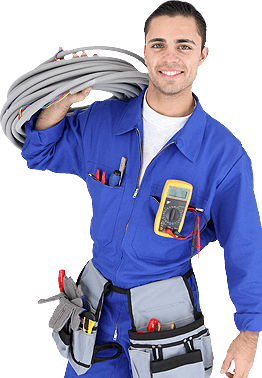 The Plumbing Detectives offers all plumbing services throughout Melbourne that are available 24 hours a day, 365 days of the year so that you can rest easy knowing you have a reliable and expert team just a phone call away. We’ll deploy local plumbers to your area that specialise in the problem you face – from simple leaks to sewer backups caused by improper outdoor drainage. Once the problem is detected by our team of professionals, we’ll take quick action to repair the damage, including excavation to ensure your plumbing system has adequate outdoor plumbing.